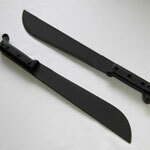 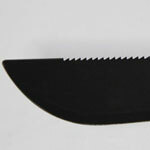 This 12" Jungle Machete is a scaled down version of the standard issue 18" Machete from Ontario Knife Company. 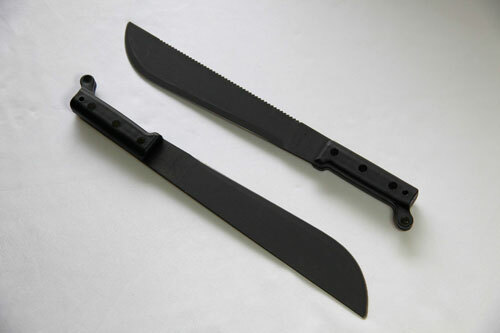 1095 black oxide coated steel with a full tang construction and high impact shatterproof polymer handles. 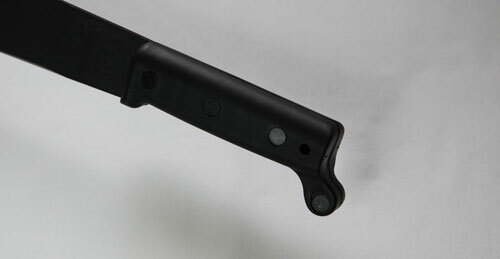 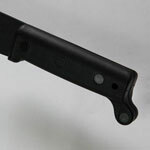 The handles are attached with steel compression rivets and the blade has a useful saw back design.